Since the creation of our studio by Ferdinand Alexander Porsche in 1972, we are striv-ing for the perfect symbiosis of form and function. Design is not only aesthetics to us, but above all content. This philosophy combined with the legacy of German engineer-ing, forms the basis of our work. 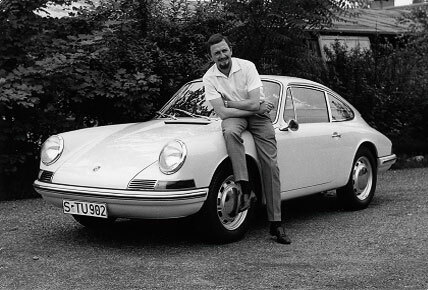 Professor Ferdinand Alexander Porsche (1935-2012), grandson of the Porsche founder, always sought the unusual. Successfully so. He developed the Porsche 911 design, which quickly became the epitome of the sports car and, like many other items de-signed by Professor F. A. Porsche, it became a design classic. In 1972, Professor F. A. Porsche established the Porsche Design Studio in Stuttgart. Two years later he moved it to Zell am See, Austria. In the decades that followed, numerous classic men’s accessories such as watches, eyewear and writing utensils were created and marketed worldwide under the “Porsche Design” brand. But there was also a large number of industrial products, household appliances, and consumer goods that were developed under the „Design by F. A. Porsche“ brand for internationally known clients.